Drinking grog (Kava) is part of our Fijian culture and not surprisingly the love for the drink has only grown over the generations. In this day and age is it so common to be called over for a ‘bilo’ (bowl of grog) my neighbours. However, we do live in the 21 century where almost anything and everything can be done through the convenience of your smartphone. Even buying grog! Yes, you read right – you can now find grog through a simple navigation over an app called ‘Taki Mada’. What the app basically does is it locates the registered grog stores/sellers in your given location and narrows down the nearest store you can purchase from. Of course this function is made possible through GPS tracking features of your smartphone. The app is available on Google Play Store and Apple store. The best thing is its FREE! Only requirement is having a seasonable internet connection and data. Taki Mada was developed by team of application developers headed by Tok Aisake this year in August. Mr Aisake,a Fiji born Rotuman, now residing in Germany. The app is global and has the same operation in different countries. So if you go overseas for travel you can still enjoy a bilo of grog with the help of Taki Mada. Since the taki mada’s recent commissioning, over 10 people have downloaded the app so become a taki mada pioneer and down it at the soonest. Now for all your grog lovers download Taki Mada and make the process of buying grog much more easier. Note: It is important that users understand, Taki Mada is not an online platform that sells grog nor will it be held responsible for any dealings external to its services. Happy Downloading and Taki Mada! No sign in needed for anyone just wanting to browse local seller directory. Honestly, never would I think there would be an app so interesting. While using the app there was always something to be surprised by – in a great way. It is important to remember the app is still new and there aren’t much registered sellers on the app. This in turn makes the primary function of the app somewhat pointless. The app is only 2.7 megabytes so it doesn’t take so much space on the device. 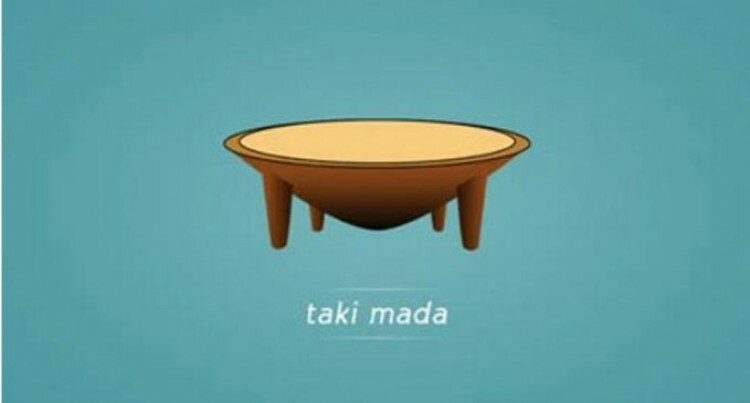 However, it important to note Taki Mada is not compatible with all devices. The requirement is Android 2.3.3 Gingerbread and latest models. Also the app requires access of details to phones, photos, microphone and device ID and call information. So get on Google Play Store and Apple store to download Taki Mada. Happy Downloading! and don’t forget any issues, there is a Taki Mada support email that you could confide in if any registration issues. Also you could follow Taki mada app on social media like Facebook and Twitter. The app works on two functions – the buyer and seller! The seller needs to login in and register after initial download. You will need to register the shop or selling point. This includes address, contact details, costs of grog per Kilo etc. Then the store goes live to the world and anyone who opens the app will automatically be able to see how many grog sellers, including your store on the map in your geographical position. If you are a buyer, when you open the app it automatically goes to the Google GPS map. Once there it will notice the dots or pins on the map which point out the grog sellers nearest to you. However, it is important to remember the app is quite new and there any registered grog sellers as of yet in Fiji. Once more grog sellers register, you will start to see seller locations. If you select the menu tab (you will need to slide towards the left) it provide various tabs and one of them is called nearest seller. Under this tab it navigates the nearest seller from your given location.